Patients frequently ask me “what happens if I move?” I’ve even had a patient tell me they were worried they might sneeze. The short answer is, don’t worry about it. 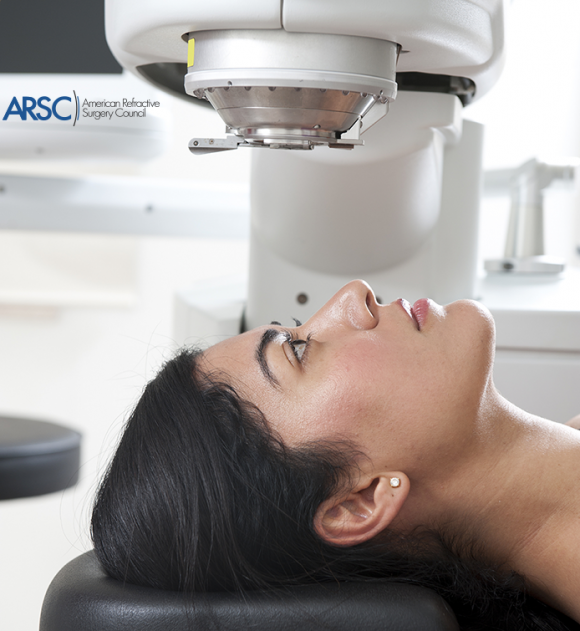 All patients are at least a little bit nervous when they are about to undergo LASIK. This is completely normal – after all, it is eye surgery. You are given some anti-anxiety medication, such as Valium, to help keep you calm both physically and mentally. We use numbing drops prior to the procedure, which not only makes the LASIK procedure more comfortable, but also decreases your urge to blink. A small instrument is placed over your eye that gently works to help keep your eye open, still and steady during the procedure. Finally, and here’s the cool part, modern LASIK employs advanced technology that tracks your eye during the procedure, providing the computer guidance real-time data about the position of your eye. If you move a little, the laser tracks your eye over one thousand times per second and adjusts the laser to make certain the laser is applied to exactly the right place. But what if you move a lot? What if, for example, you do happen to sneeze during the surgery? The good news is that we have a solution for that as well. The same system that detects and tracks any small movements of the eye has a precautionary protocol for any large movement, that simply turns the laser off temporarily until the patient comes back to the correct position and then starts up again. This advanced laser technology is in place to protect the patient from harm and ensure the procedure goes according to plan. So, bottom line, patients do not have to worry if they move during their LASIK procedure.